The latest round of snow the fell around the Tri-State area today didn't bring the deep accumulation or high winds that accompanied two near-blizzards this month, but it was enough accumulation to make for some messy roads and sidewalks. The mix of snow, sleet and freezing drizzle overnight turned into steady snowfall in the late morning and early afternoon, leaving a light dusting to a few inches around the city, Long Island and parts of northern New Jersey. 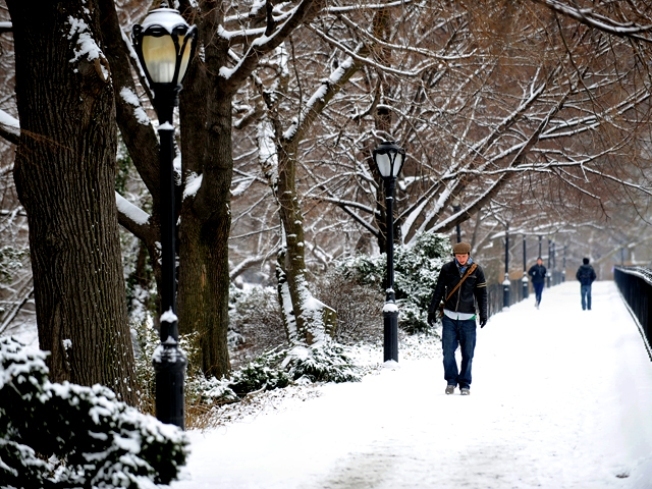 In Central Park, another 4.5 inches of snow fell -- nearly two inches more than expected. Central and southern Jersey saw between 3 to 6 inches, forecasts said. Most roads should stay wet, but slippery travel is likely to return to parts of the area and that could linger into the evening commute. Snow showers and flurries should diminish this evening from southwest to northeast over the area and skies will partially clear overnight with temperatures dipping well down into the 20s. Some slippery spots are likely for tomorrow mornings commute as any slush or standing water will refreeze. Last week, the New York City area was pummeled by about a foot of snow and blizzard-like conditions. The storm even prompted city officials to close New York public schools for a day. Farther south, parts of New Jersey had already been pounded by a blizzard a week earlier. 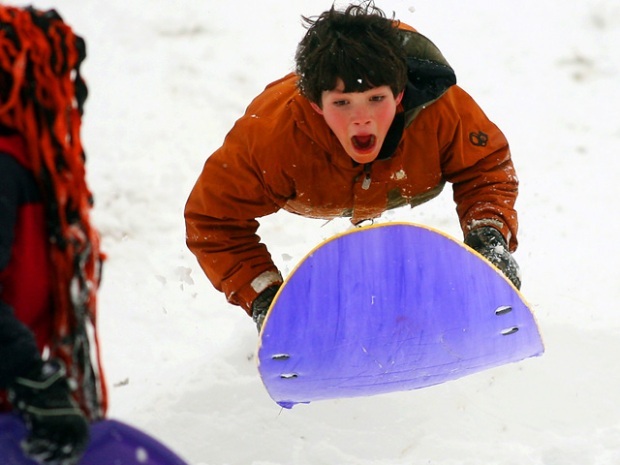 Southern Jersey has logged its snowiest winter on record. Nearly 100,000 customers lost power in that first storm.